In 1987, AJP was founded in Portugal and presented its first creation, the ARIANA 125cc, equipped with a 2 stroke Casal engine, named after Antonio Pinto’s daughter born in that same year. This motorcycle was produced within a limited series of 25, but it had already adopted many original technical solutions that were further explored in future models. In 1991, AJP established a partnership with Petrogal (Currently Galp Energia), whose most noteworthy outcome was the development of the AJP Galp 50, and secondarily developed of a whole range of synthetic oils for 2 stroke engines, tested Unleaded gasoline with additives. From 1991 to 2000, AJP participated in the National Championships of Enduro, winning five titles in a row from 1996 to 2000. AJP also participated in the National Off-Road Championships, with victories in 1996, 1997 and 1999. 2001 represented a turning point for AJP: a new motorcycle, the AJP PR4 125, boasting a 4-stroke engine, was launched into the market. Yet again, innovation is present in the fuel tank positioned underneath the pilot’s seat. (an innovative feature still present in today’s models), this disposition allows for a more aggressive behavior by lowering the gravitational axis of its motorcycles. The AJP PR4 125cc marks the beginning of AJP’s export activity, with the very first units being sent to various European countries. France, Germany and England were the first countries to buy AJP motorcycles. In 2003, AJP relocates to a new facility in Lousada and In 2004 introduces a new version of PR4 with a 200cc 4-stroke engine. 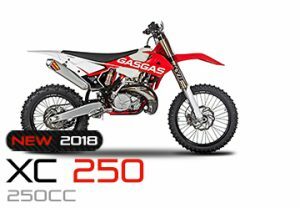 This model shares the same components as the 125, though offering a more able and potent engine. Thanks to this model, AJP expanded it’s business into Spain, Poland, Italy and Greece as well. In 2007, the AJP PR3 200 MX is launched. The model introduces a new concept of frame developed in-house, with double aluminum spars. This solution allies the lightweight to a simpler production at the same time revolutionized the motorcycle’ s visual aspect, bestowing a modern and attractive design. A PRO version follows, with a set of evolved suspension. 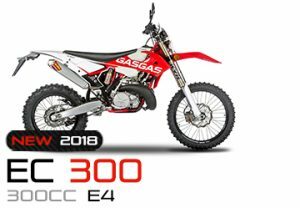 Weighing only 89 kg, the PR3 ranks as the lightest four-stroke 200 cc Enduro bike in the world. 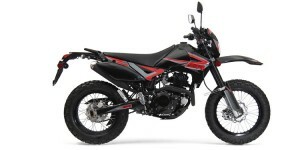 The short wheelbase gives the model an agility of a trials bike but it is still a full size bike. A 69×53 mm bore and stroke gives 13.2 kW (19 bhp) of smooth power with a linear delivery. At the end of 2008, sales take off for the homologated versions of the PR3 series, with a 125cc engine, and the 200cc one at the beginning of 2009. In 2009, AICEP Capital Global becomes a partner of the project. Its involvement is intended to provide the company with the necessary means for the development of its expansion plan of activities. At the end of 2009 AJP’s releases its most ambitious project yet, the PR5. 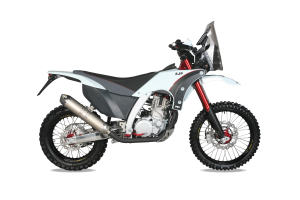 The PR5 is fully homologated in the European market and the fuel-injected 250 cc engine is quick – but still in a 100 kg full-size package. The PR5 specifications include most of the technology developed by AJP over the years. Praised by the specialized media worldwide, the PR5 opened new markets for the company including Japan and Brazil. What sets AJP apart from other manufacturers is the fact that Antonio Pinto himself hand-checks each and every bike that leaves the factory. 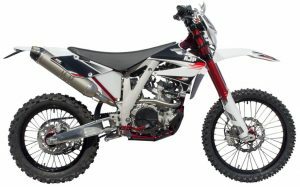 According to Pinto AJP designs off-road motorcycles that can get from one point to the other in everyday activities but can ultimately give its rider a race-like experience if so desired.